Luxembourg is a small country. The duchy is only 80 kilometers long from north to south, slightly less than 60 from east to west. This means that you can explore the entire country in a week. 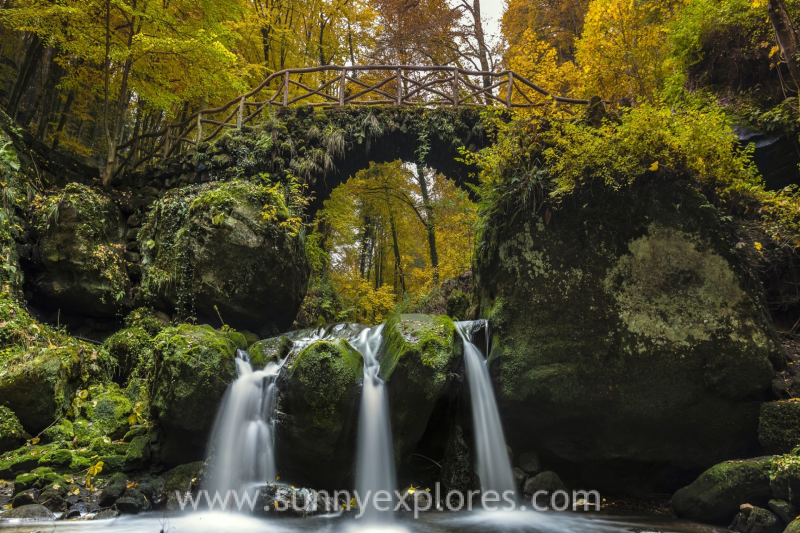 When you only have one weekend, just as I had during my road trip, here are the 8 places you can’t afford to miss when you visit Luxembourg, the country of forests and castles. 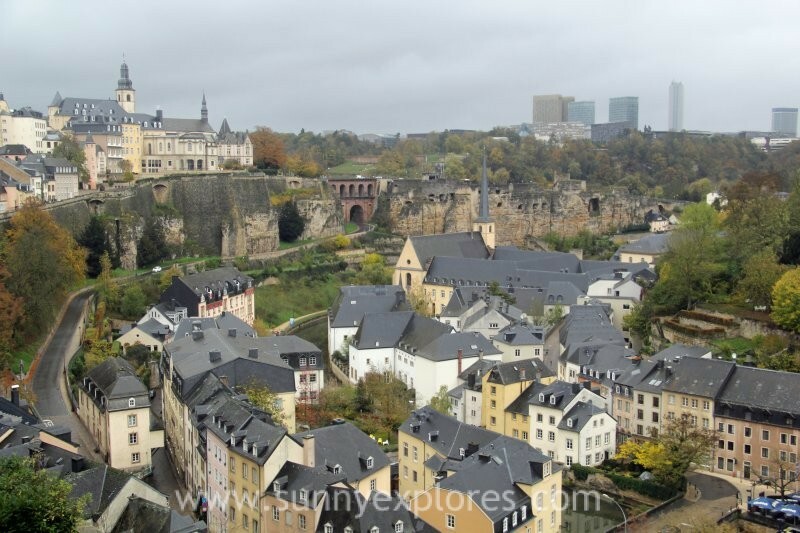 The capital of Luxembourg is also called Luxembourg. The location of the city is unique. When you enter the city you see high sandstone cliffs with the ruins of the old fortress. 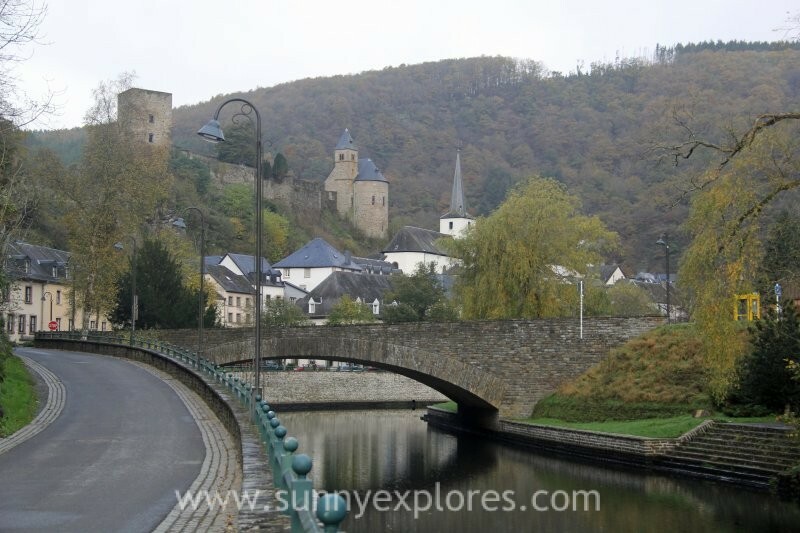 In between you see the deep valleys of the Alzette and Pétrusse rivers with a system of bridges and viaducts. Do not miss the casemates of Bock. Among the remains of the Lützel castle is the entrance to a subterranean maze of corridors and stairs. Emperor Charles VI and Empress Maria Theresia had these spaces cut out between 1737 and 1746. The labyrinth is a city in itself and offered space to thousands of soldiers and horses. But in case of danger civilians could also find a safe haven here. Around 35,000 Luxembourgers were hiding in the casemates during the Second World War. The contrast between old and new in the city is special. Kirchberg is the center of Europe, with the Batiment Tour and the Hemicycle, the most important conference room, as eye-catchers. 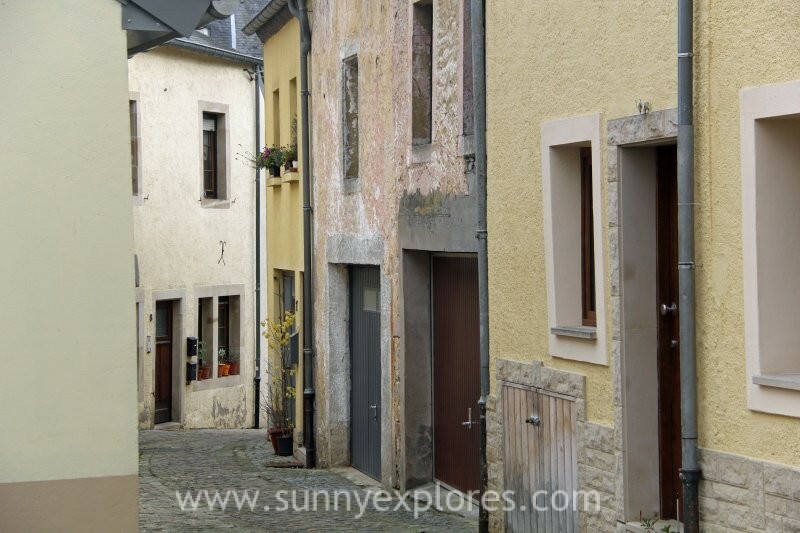 Besides the worldly Kirchberg, Luxembourg city also has a picturesque lower town, in Grund. The craftsmen used to live here. Their dilapidated houses stood long along the Alzette. If you have little time to view this part of the city, take the lift down from the Place du Saint Esprit. 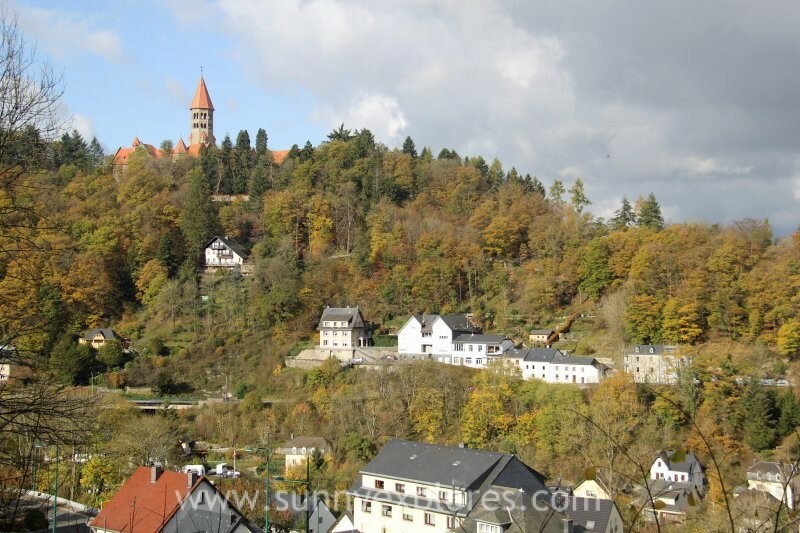 The church and the castle give Clervaux a beautiful sight. The woods around the village are great for hiking. In summer it can be quite busy with tourists here , while it is nice and quiet in autumn. 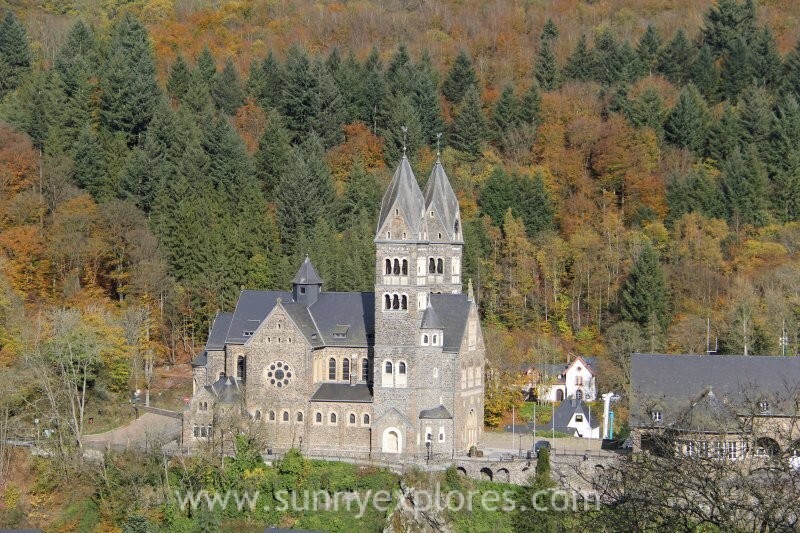 Especially the abbey is beautiful in this season, surrounded by trees in autumn colors. And a tip: after your hikes, you can drink the most delicious hot chocolate at ‘Au Chocolat’ at the Grand-Rue, close to the castle. Echternach is a small city with a nice center. The market square with stately mansions and nice terraces is worth a visit. The Dënzelt is most most eye catching building at the square. It was built in 1444 as the seat of the court. For centuries Echternach was the cultural and political center of the country. 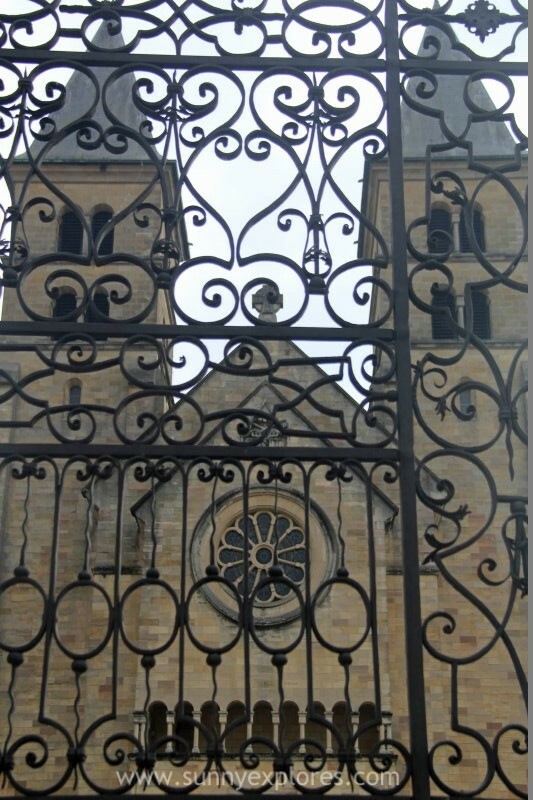 The city is closely linked to the Holy Willibrord, whose grave you can visit in the basilica. The Müllerthal is my favorite place in Luxembourg. The forest has beautiful rock formations that have been carved by glaciers in the soft sandstone of the valley during the Ice Age. You can make beautiful, adventurous walks along high, bizarrely shaped rock massifs, through narrow crevices, dark passageways and beautiful waterfalls. Everywhere you will see one of the three rivers, the Ernz, the Hallerbeek or the Aesbeel. And the names of the rock formations appeal to the imagination: eagle’s nest, zigzag walk, robber’s den or pulpit. 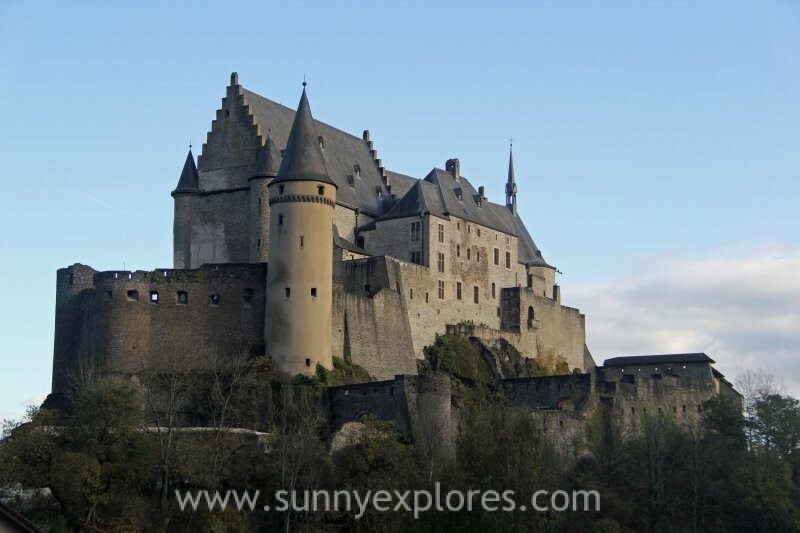 As you approach Vianden, the first thing you will see is the huge castle perched on a rock above the valley of the Our. It is a powerful sight. The castle was built in about 1000 years. A visit is worth the climb and from the beautiful garden you have a great view over the city and the Our-valley. Bourglinster has a nice village center with colored houses and narrow streets. The castle that towers above the village is a labyrinthine structure that combines many architectural styles through the many renovations. There are many restaurants here, so Bourglinster is a good stop on your trip through the country. The castle of Bourscheid has a grandiose location. 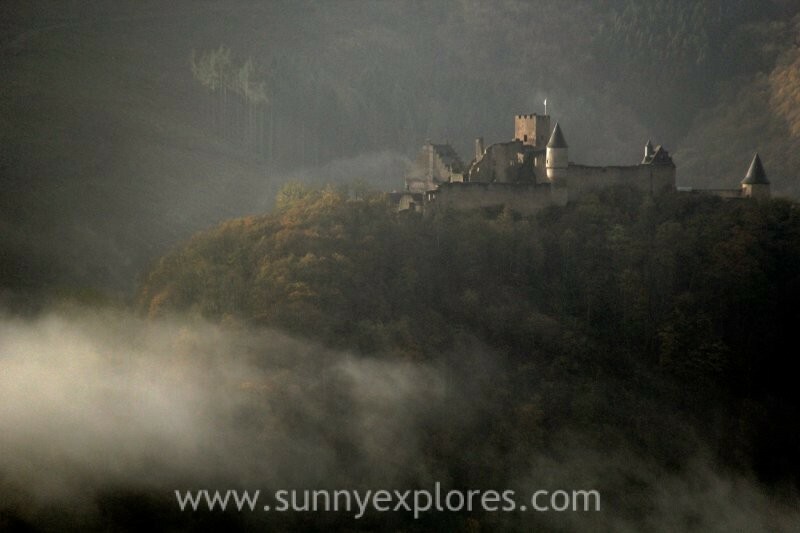 It is the second largest castle in the country and in my opinion by far the most beautiful. It dates from the 11th century and was expanded over the centuries. You can wander through the many staircases and towers. And the view over the Sŭre valley is fantastic. Esch sur Sŭre is idyllic. Don’t miss this small village. There is a reason the whole village is under monument protection and when you are there you will understand. The whitewashed houses stand around the parish church at the foot of a medieval castle ruin. All this is attractively wedged in a loop of the Sŭre. You can wander through the narrow streets and imagine that you are wanderling through times gone by.